Jim Walker was really one of a kind. 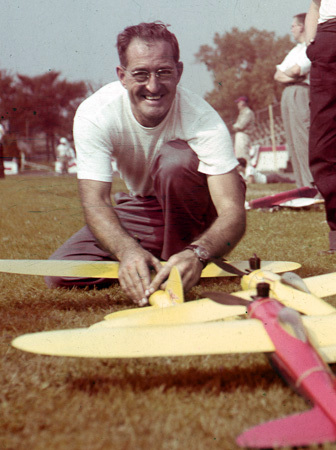 He was a visionary, a showman, an inventor and a passionate promoter of Model Aviation. 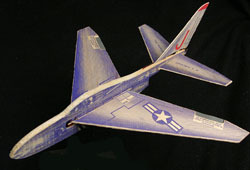 Whether he was flying his Two-Speed ignition engine Fireball with U-Control or his 10 cent Model 74 Glider, Jim Walker captivated the crowds and the imagination of a generation of youngsters with his incredible flying skills. 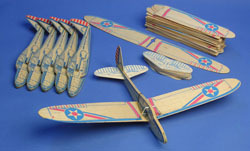 Producing Ready-To-Fly model planes years before balsa became common, his American Junior Aircraft Company shaped the furure of the hobby world with his innovative ideas and gave many of us the tools for the gift of flight. For those lucky enough to have met Jim Walker, we offer some precious fond memories. For those of us who never had the chance, we offer the chance to experience the fun and excitement of discovering the magic that was Jim Walker.